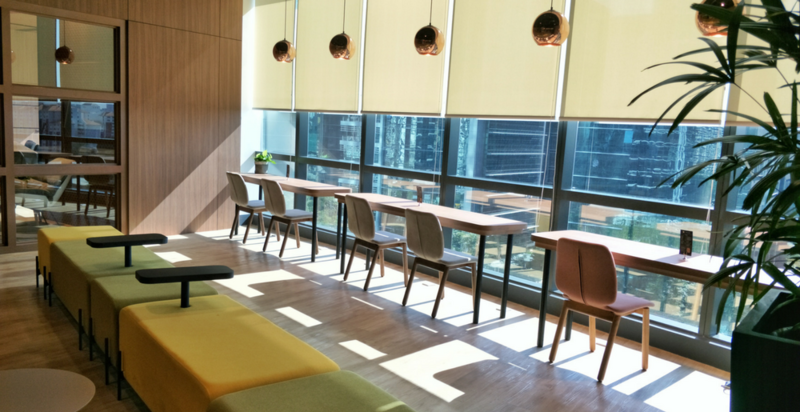 The new co-working kid on the block, Komune comes nestled right below Uber Malaysia‘s office, with Fave‘s office just around the corner. 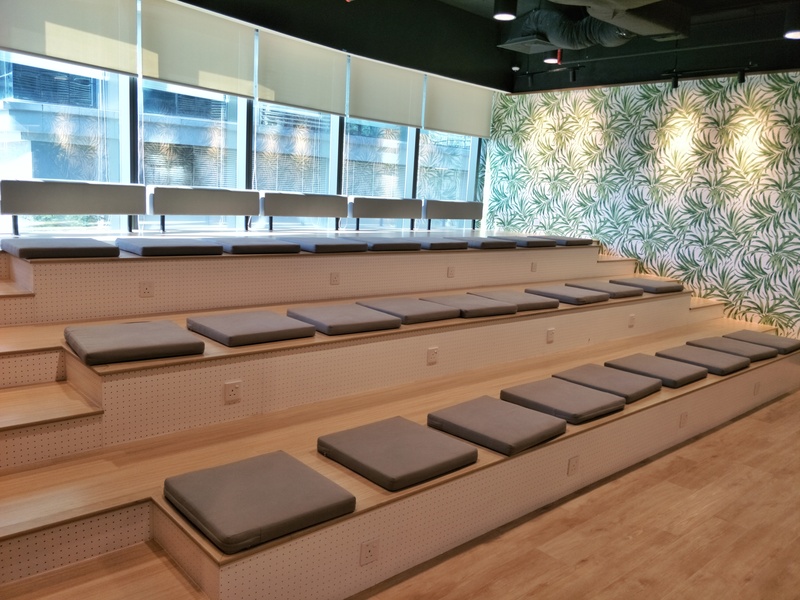 In the long run, the team eventually hopes to host all of the big names at events to allow these and other Malaysian tech giants to talk to each other—but Komune’ll have to nail the co-working space experience first. Classified as a Tier 1 status MSC hub from the get-go, Komune’s MDEC partnership really shows. They’ve already seen some corporate events hosted by the likes of MDEC, Google, RevAsia, Media Prima Digital, and the TN50 by the Ministry of Youth & Sports. As a result, they’re now at 30% occupancy since opening on the 5th of September, and they gun for 50% by the end of the year. 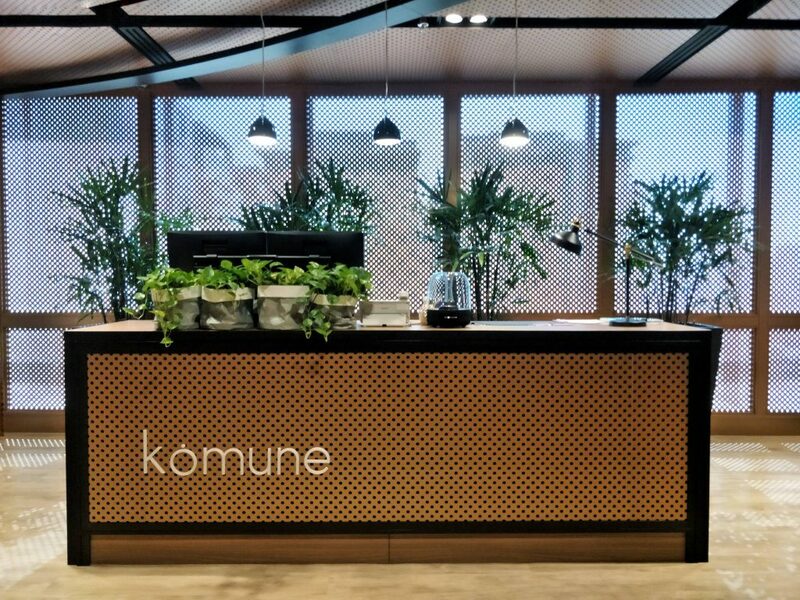 But more than just the amount of space, the areas in Komune are designed to be wide and spacious. 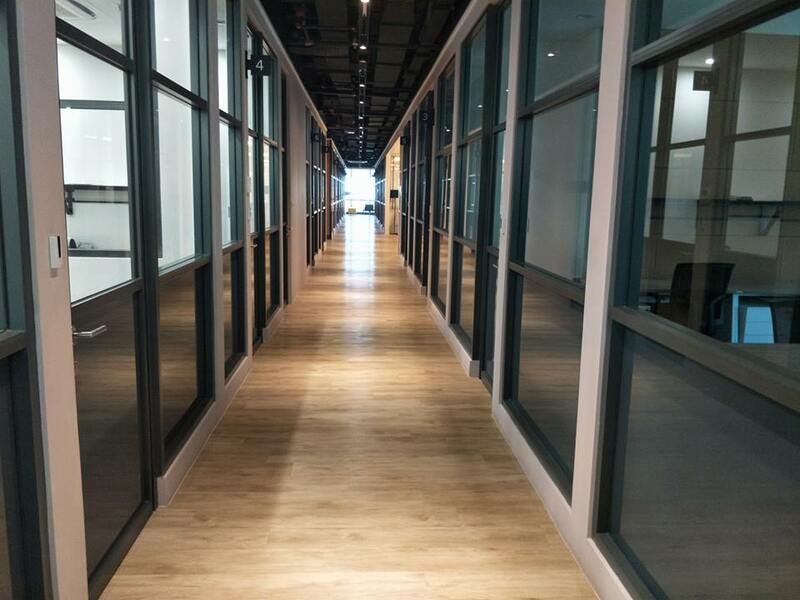 Even the entrance of the Bangsar South space exudes the strong impression of being in a coffeehouse, and this extends throughout its 18,000 square feet of space on the 6th floor of UOA’s Corporate Offices. In fact, it came as no surprise to us that the area was designed by the same team that did the Botanica+Co—one Komune’s many partners. 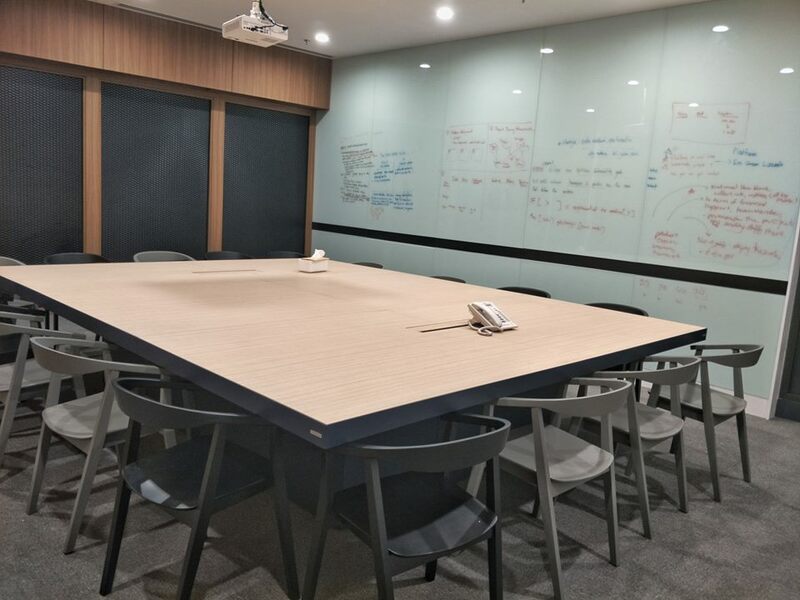 And this design choice felt obvious to us even in areas that are more traditionally tight in some other co-working spaces nestled in the heart of KL—like the private rooms and even just the width of the hallways. Some zen-looking seating for the event space, overlooking the coffee bar. 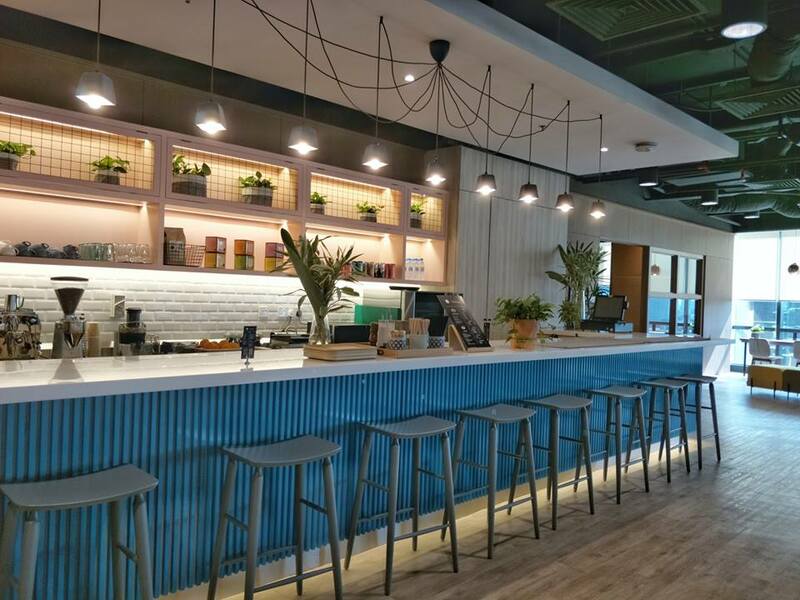 It’s also interesting that in line with their coffeehouse aesthetic, they also offer daily rates for RM35 for use of their space, on top of their usual co-working tenancy plans. But perhaps because of this, we found the layout for Komune’s co-working space a tad odd. 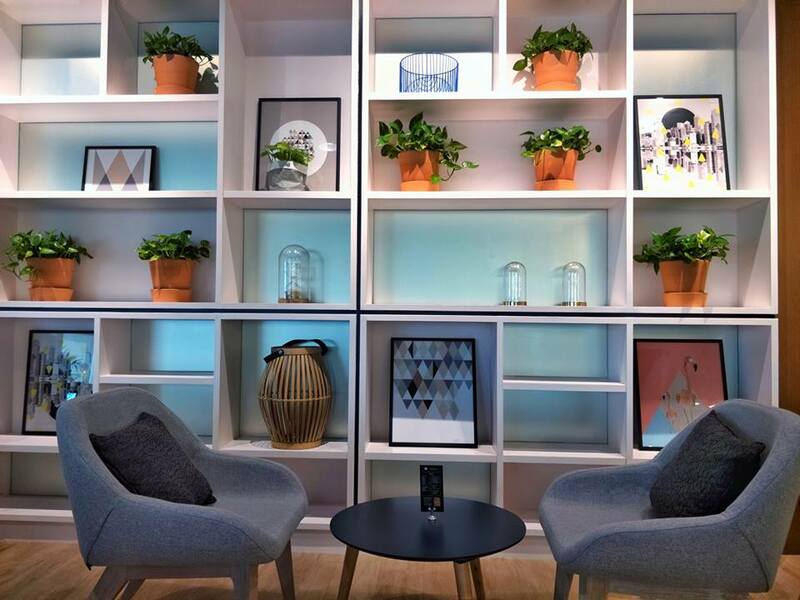 A little cafe feature wall, open to having meetings with guests with, as well as a hot desk area. 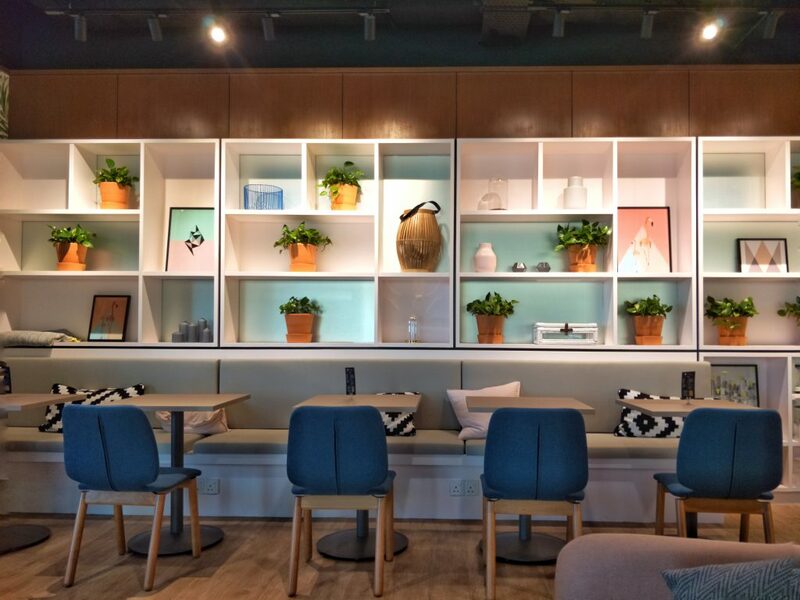 The hot desk area, instead of cordoned off into a private space, is one and the same with the events area, and looks more like a cafe area to chill in than an actual place for professionals to get their hustle on. We were informed by the Komune representative who brought us around that there are other places around the event area that these hotdeskers can escape to if there are events, and for what it’s worth, it is an ample space. 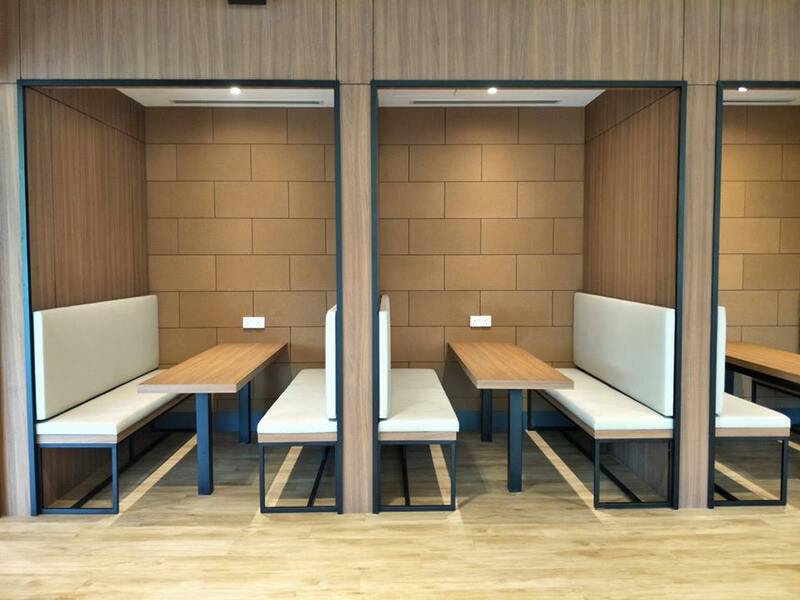 Some hotdesking booths tenants can escape to. The hotdesking area away from the events space. 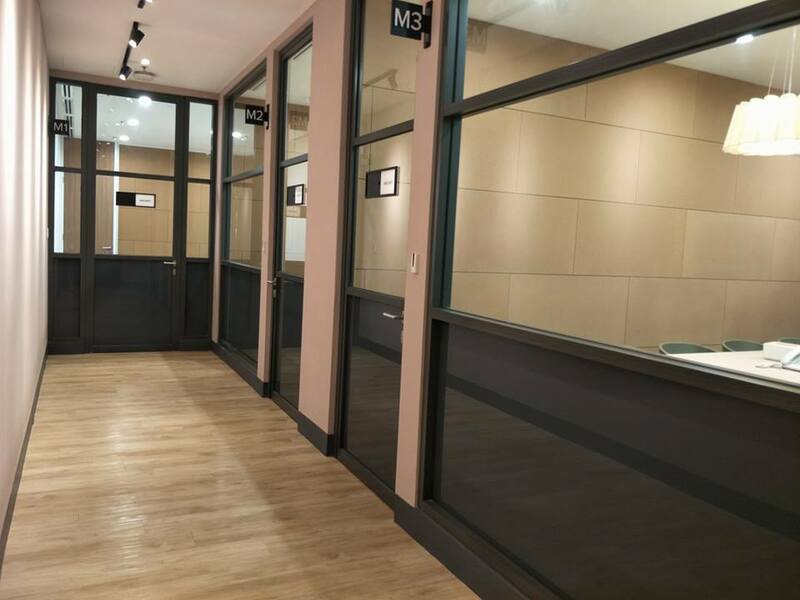 Meanwhile, instead of having an area specifically for dedicated desks, Komune cordoned off a private room to rent the desks out to people who want a desk to park in. But the best oddity has to be how spacious the private rooms are, and they also have a lot of tables available in a room. One of the private rooms that has been converted into a Dedicated Desk area. A private room with a view. A little preview of Level Up Incubator. Of Komune’s many, many partnerships includes MDEC, to bring Level Up Inc. 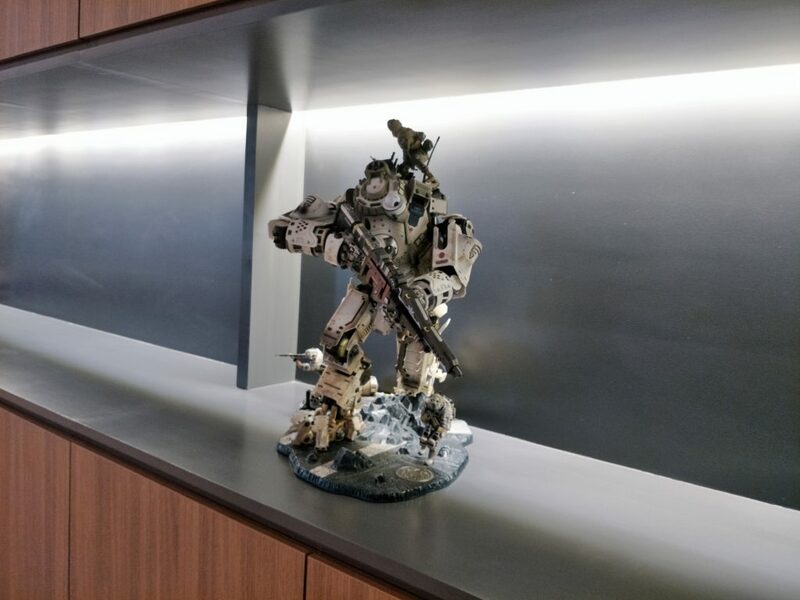 Taking up 6k square feet of the space, this incubator houses small and medium game startups so that they can collaborate, support and accelerate their development game. Editor’s Note: The word “accelerator” has been replaced by “incubator” to more accurately reflect what the programme is. The reps at Komune did ask us to keep things hush hush about this incubator looking to launch in November, but still dropped some juicy tidbits about some of the amenities offered for Level Up, including a fully-equipped game room that will help them test any in-development console games and Virtual Reality tech. This, they call a High-End Games Testing Lab, which serves as an extra room for brainstorming as well. But just for the purposes of geeking out, MDEC will also be equipping an entire room called the Arcade Room, which to be honest, says it all. Unfortunately, the space has yet to be equipped while we had our little tour. This is all in part to develop Malaysia into a game hub. And in part of that development, part of their efforts include installation of additional LAN ports, and 100mbps internet from Time, with a TM redundancy line ready to go up and running if Time’s line is down. That being said, some of the placement choices are a little unusual. There are 4 meeting rooms available. And the vague phrasing of ‘unusual’ can run both ways. 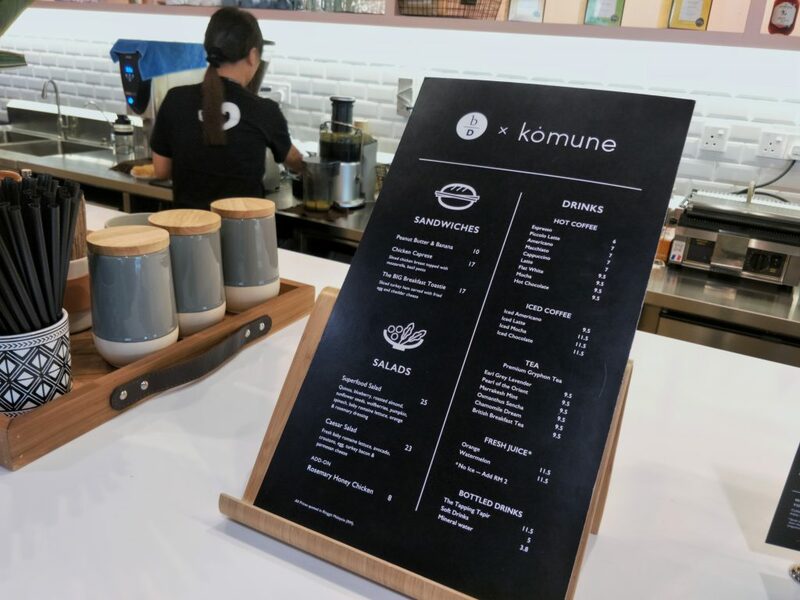 Going the extra mile towards their stance on tech, Komune is introducing their own cashless currency, aptly named the K Dollar (K$) for their Komune-ity. That is all song and dance for the credit system they’re introducing to tenants in the space. Some of the food on offer that tenants can pay for using K$. 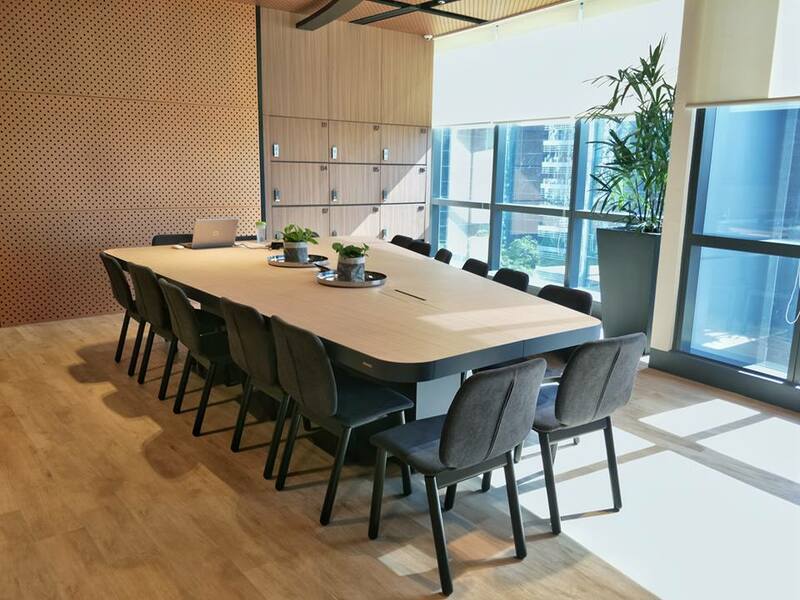 Depending on the package taken by the members, they receive a monthly allocation of K$ to use for co-working space amenities—stake their claim to the meeting rooms, book the event space, locker rentals, buying coffee at the in-house cafe, and others yet to be introduced in the space. 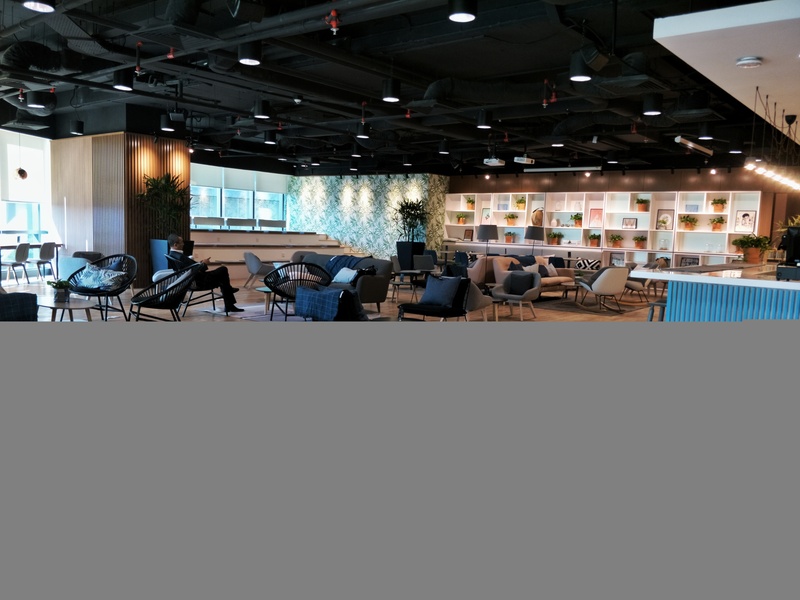 The K$ is probably one of the only such systems introduced in Malaysia, and is just one small factor in UOA Group’s goal of building an entire coworking management tool from scratch. Komune will be their little playground to test the system, and if the kinks are all sorted, might be introduced into UOA’s other development projects-apartments, offices, co-living spaces (UOA’s development of prop tech, or property tech. 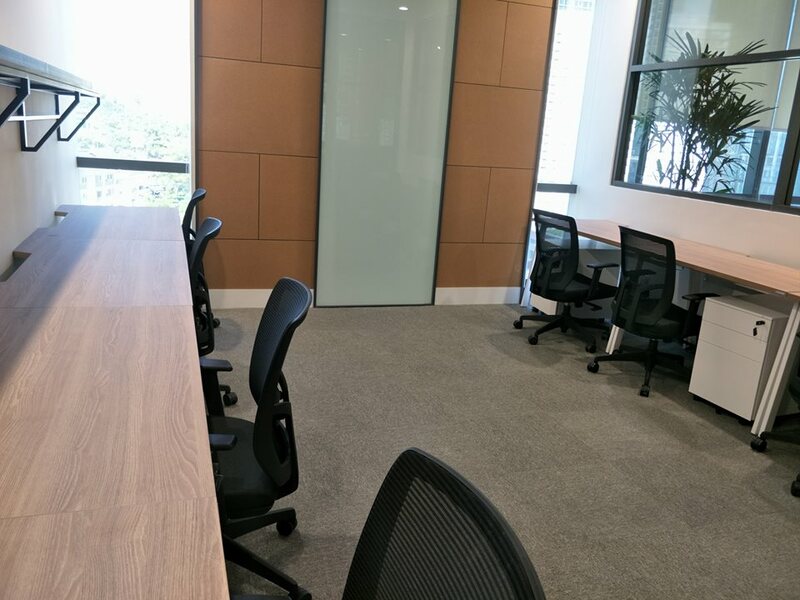 The hotdesking area has both tables to work at, and coffeehouse seats for meetings and chilling. 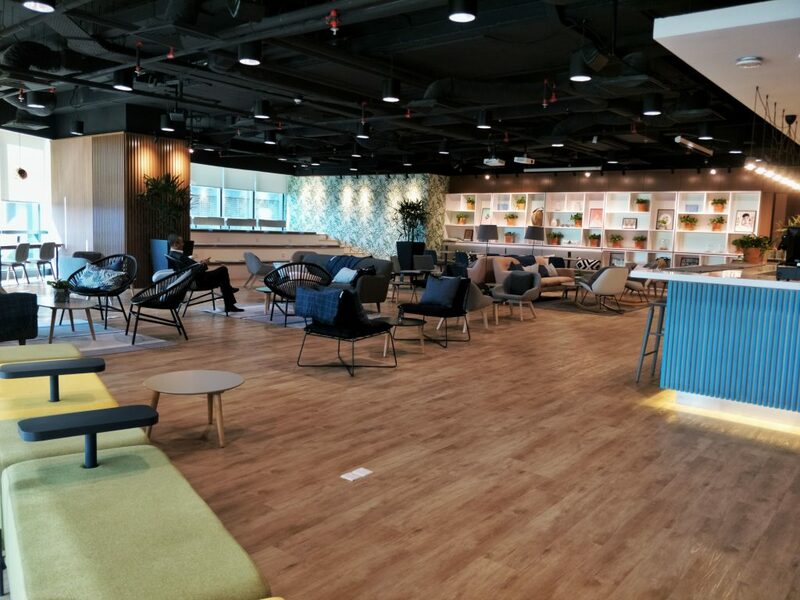 Keeping their plans P&C for now, Komune’s larger goal is to be the facilitator of working communities in Klang Valley, particularly combining technology and property together. Nevertheless, Komune does make effort to also bring in players from accounting, and other such businesses that could benefit the community as a whole. And with some of Malaysia’s major players around the block, they might just have a shot at it. That is, if UOA plays their cards right and actually manages to cultivate the Komune-ity crucial for that to happen. 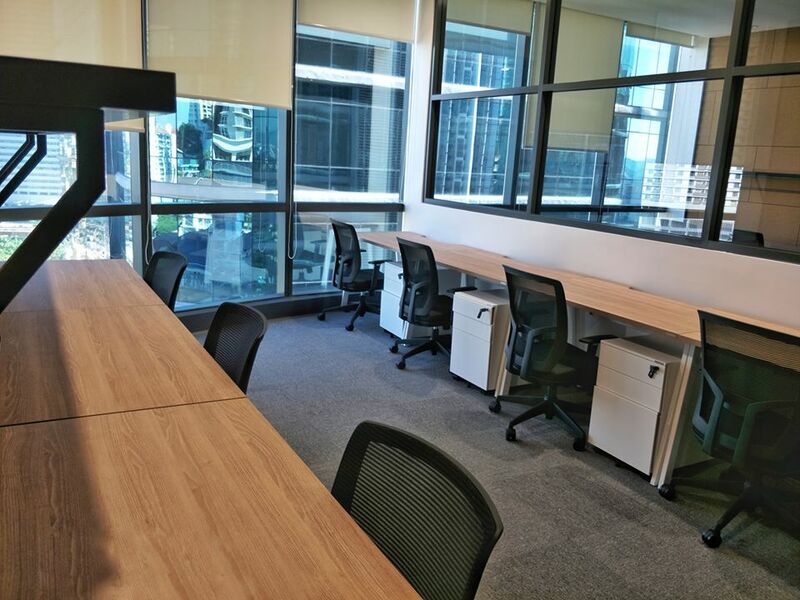 Private offices go out for RM890 per pax (minimum 4 people), dedicated desks at RM690 per pax, and RM490 for the unassigned hot desks. We think they’re pricey too, but if this evens the odds out for you a little, Komune’s many partnerships grants them some pretty substantial perks. Tenants get 18% discounts of Zen Rooms, approximately 11k of discount for a WOBB business account, GoGet extra credits, as well as some in the works for LinkedIN, among other perks.